17 « August « 2015 « Nothing in Biology Makes Sense! A Reef Made of Mollusks! Modern reefs are made up predominantly of coral, those fabulous cnidarians that colonize into epically beautiful formations. However, it turns out that the reefs of the Mesozoic were dominated not by the modern decorative colonizers, but by mollusks, similar to clams. 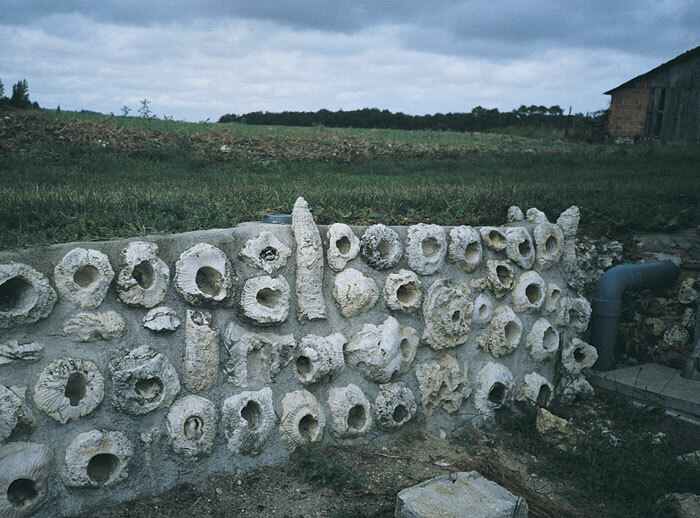 While the fossils of these organisms, called Rudists, used to be thought of as made by sheep or goats, but we now know that they are the only mollusk to ever construct massive reefs. They were hardy reef builders, protected by their strong shells. The reef was built not as a colony but because shells often grew close to one another, forming networks of mutual support. This allowed the reef structures to become quite large, some stretching hundreds of kilometers long. Modern reefs, made up of colonizing corals. Additionally, the variation in rudist size was vast. Some were only a few centimeters, while others spanned over a meter. Despite their prevalence in the oceans of the dinosaurs (it all comes back to dinosaurs this summer…), they went extinct approximately 1 million years before the meteorite that caused the dinosaur extinction crashed into the Yucatan Peninsula. Why they went extinct? It remains a mystery. Read all about rudists over at American Scientist!